I had the honor of interviewing Lt. Colonel Allen West for the inaugural episode of Economic War Room with Kevin Freeman (learn more at economicwarroom.com). We had a broad-based discussion. One of the most-critical points we discussed was in regard to individual sovereignty. I’ve included an important clip because it is so directly applicable to the headlines we are seeing in the Economic War today. This is truly a battle between liberty and the Collective (in whatever form that takes). At one point in the interview, I asked Colonel West about the idea that socialism is, in many respects, a form of economic slavery. He agreed. Whenever you do not get to own the benefits of your labor and economic output, you are in a form of economic slavery. People are learning that truth daily all around the world even as Americans are increasingly warming to this failed idea. Of course, as George Orwell’s Animal Farm taught us, under socialism, “All Animals are Equal, but Some Animals are More Equal than Others.” Rough translation? Those who run the system do so for their own benefit. Jack Ma, China’s richest man and co-founder of the e-commerce giant Alibaba, in Shanghai this month. He was identified as a member of the Chinese Communist Party by its official newspaper. Oh the wonderful fairness of socialism! Of course Ma did not gain his wealth through the inherent equality of socialism. The 54-year old got it as a prized member of the “more equal than others club,” using free-market capitalism and accessing the American stock market with the largest IPO in history. But, he’s a communist with about 2.5 million times the wealth of the average adult in China. While there is no shame in earning a fortune, the whole concept flies in the face of communist principles. It demonstrates that communism is not about economic fairness. It is a massive enterprise that serves the interests of the elite. How many realize just how wealthy Hugo Chavez was at his death? The man lived behind a 10-foot high wall and his family amassed a fortune that included 17 country estates totaling more than 100,000 acres and liquid assets of at least $550 million stashed in bank accounts. Other estimates are far higher, with one daughter possibly having $4.2 billion in assets alone. Chavez amassed enormous wealth while bankrupting a once prosperous country with more oil than Saudi Arabia. So let’s dispel the notion that communism or socialism is about fairness. The leaders get wealthy while the people suffer. Certainly China has developed rapidly as a nation. But the gains have not come from communism but rather capitalism supercharged by IP theft. The conservative estimates of theft from America alone are around $600 billion annually. China is also willing to push the envelope. The nation is among the world’s worst polluters (even as capitalist America has reduced pollution). And just recently there were reports of Chinese scientists crossing ethical lines by creating genetically edited children. This is all a part of the commoditization of people for profit. It is abhorrent. It smacks of science fiction such as Star Wars where perfect clone armies were created in test tubes. It has long been charged that Chinese science ignores international ethics standards. Of course, when the world uncovers the truth, China goes into full denial mode. Communism does not reduce military aggression. And, communism does not allow personal liberty. In fact, we see religious diversity squelched and Christians persecuted. American citizens are being detained presumably for the sins of their estranged parents. Citizens are judged on “social credit.” If you don’t conform, the state won’t let you have any semblance of freedom. China is exporting their population control mechanisms to Venezuela. And while Chinese communism began with a violent revolution, Venezuelan socialism was democratically elected. The loss of freedom, however, is the same. China wants to eliminate American values from the world and replace them with their form of control. They are using their Belt and Road Initiative, economic might through loans (and debt traps), and strengthening military to do just that. They want to remove the U.S. dollar and replace the Western financial systems that have exported prosperity. They even want to replace the American-developed GPS system and Internet. If they get control of the world’s economy, look out. But, are American Socialists any better? The reality is that socialism is collectivism and it stands against personal liberty. In America, people are being forced to deny their sincerely held beliefs in order to conform to the collectivist view. Whether it is a Christian cake artist forced to participate in a wedding against their faith, a religious club forced to hire non-believing leadership, or students only allowed to pray behind a curtain, the truth is that the collective is trying to force conformity and eliminate even religious liberty. This isn’t Hitler’s Germany, it is America in 2018. The demand for social conformity is expanding with a commensurate loss of other liberties that are supposed to be guaranteed by our Constitution. How else can you explain a feminist writer banned from Twitter for saying that men aren’t women? People are losing jobs solely based on political opinions. In fact, they are developing social credit scores for Americans designed to force conformity to a politically correct views. There are risks to property as well. The leftist sensation is Texas Congressman Beto O’Rourke. Most overlooked his DUI and fleeing the scene. Few, however, realize that Beto is the son-in-law of a billionaire developer (although he may be worth “only” $500 million according to Forbes). Even worse, Beto was willing to use his political office to force ordinary Americans to lose their homes through eminent domain to enrich his father-in-law. And yet, Beto remains a socialist’s dream candidate for the White House. Did the Clinton’s get wealthy based on their economic ingenuity alone? Or, was it because of their political influence? We may have the answer in the fact that the Clinton Foundation prospered mightily when they were in positions of high influence. But donations dried up almost immediately with the loss of those positions. Without making any other claims (we will leave those to others), it seems obvious that power attracts wealth and concentrated (absolute) power corrupts absolutely. No wonder socialism corrupts. Venezuela started off as a democratic socialist state when Hugo Chavez was freely elected in 1998. Then, with economic power centralized, his successor, Nicolas Maduro, tightened the screws in the predictable fashion of socialism. He took care of those who supported him, ignoring, jailing, harassing the rest, as the economy crumbled with falling oil prices. Now, the democratic portion of “democratic socialism” is no more in Venezuela—it is merely socialist. Some Americans think socialism is the answer for problems in our country. But the reality is that it would only make the problems worse. America’s democratic socialists need to learn more about the system they would have us embrace. Of course, the democratic socialists and collectivists will deny these truths. And there will be far “right-wing” collectivists who will attempt to trumpet the truths but they are just as bad if they deny individual economic liberty. The truth is, however, that the Bill of Rights and our Constitution are the basis of American personal liberty which is the basis for much of the global prosperity enjoyed today. Knowing this, we should do all possible to halt the erosion of personal liberty. 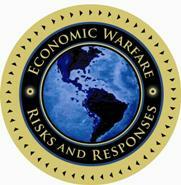 There is a global economic war underway. One of the main battles, both foreign and domestic, is between personal liberty and the social collectivist movement. Next post: Market Terminator at Work?